effective cabinetry + built-ins aren't just about how much storage you can create, but, increasingly, how smart the cabinets + built-ins are. since most of OUR PROJECTS INCLUDE CABINETRY AND BUILT-IN WORK, WE believe THE DESIGN DEVELOPMENT PROCESS must INCLUDE a thorough detailing of a client's needs, but it shouldn't begin and end at "where they will put their stuff". seamless walls that incorporate appliances, message centers and pantry must work as hard at making good design sense as the smallest powder room commode or the simplest open kitchen shelves. 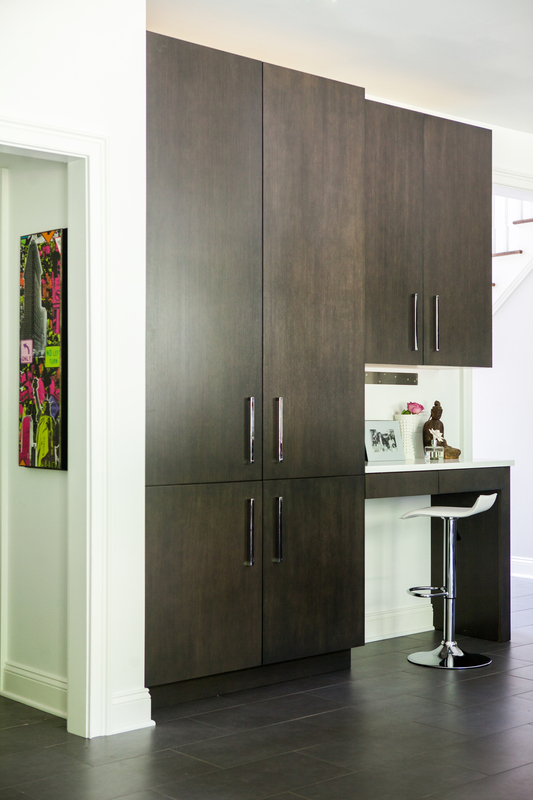 We consider our cabinetry + built-ins to be critical components of integrated design.